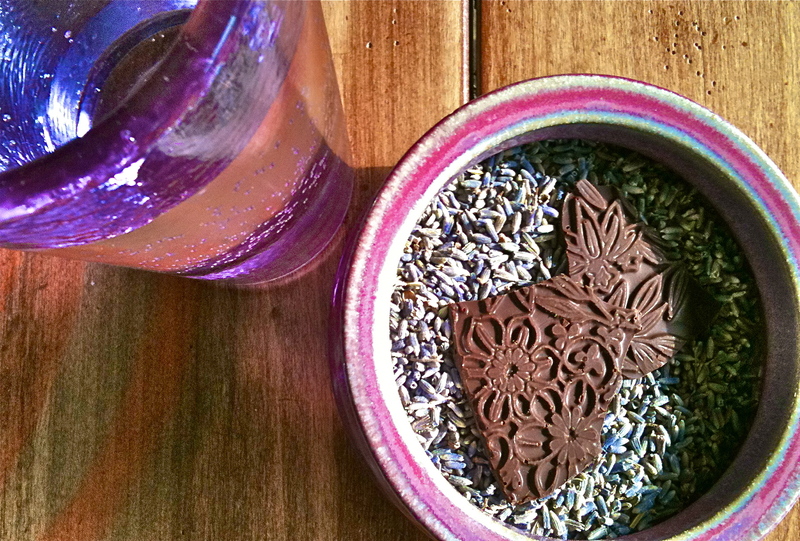 My friend Jacqueline and I have admired the lavender chocolate by Dagoba for some time now. But, I typically have the same problem with most other peoples’ recipes. I wish that the seasoning were stronger. More lavender please~! Well, as opportunity had it, when I went to Lancaster for a fall craft show I visited the Farmers Market in the center of town. There is a fabulous Herb Shop in that market. I always try to go there when I am in Lancaster. Central Market, Lancaster, PA. I spent about $30 and walked away with a good variety of wonderful herbs and spices. But, my real prize was the lavender buds. I love lavender, so I figured 2 oz. would be a good quantity. 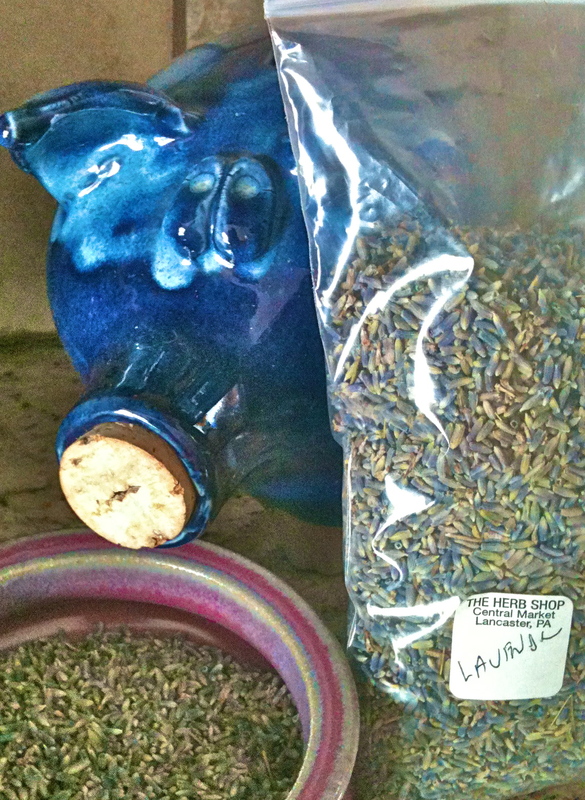 I now know that 2 ounces of lavender is a lot~! I have been using lavender in a variety of cooking explorations (think floral tea blends, and “Herbs de Provence”). My favorite has been the lavender chocolate. I was motivated to dive right in because Jacqueline was coming to town. I decided to go with the most sincere form of flattery to Dagoba. I made a lavender blueberry slab, on a floral textured sheet, and broke the slab into 2-bite sized pieces. I used the good 70% dark chocolate from Guittard… but skipped the tempering process. I just store the chocolate in the freezer; that does the trick. Now, Jacq is allergic to most nuts, so I didn’t add any. But, if I make this again, I will add diced walnuts (unless Jacq comes back and we indulge ourselves again… I love her even more than walnuts~!). In the end I was extremely pleased with this chocolate. 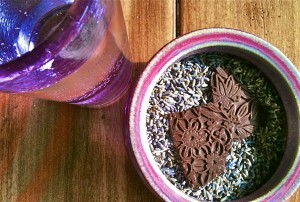 I made about 6 oz of dark choc, added over 1/2 tsp of ground lavender, and 2 tbsp of dried blueberries. YUM~!~! This chocolate bar is a live link to Dagoba~!